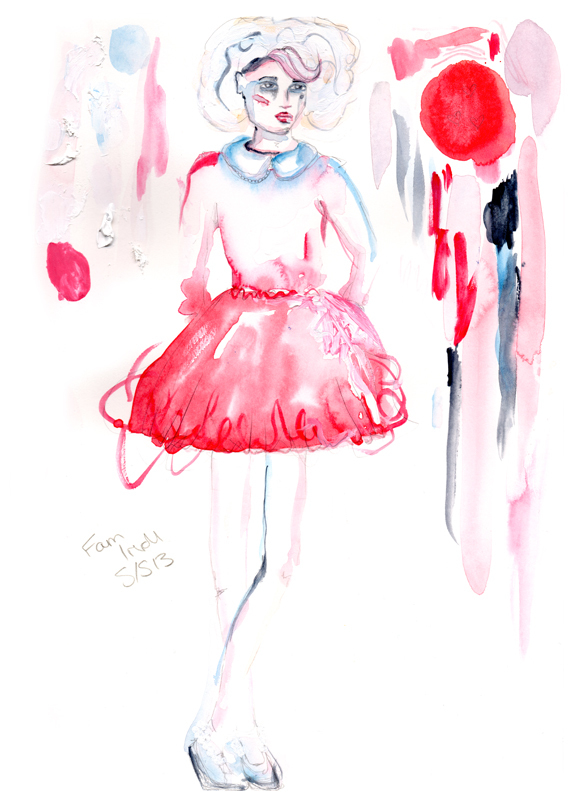 Illustration based on the Giles SS13 show. Illustration based on Fam Irvoll's amazingly cute, kitschy, granny-chic SS13 collection. Illustrator Sophie Parker has done these beautiful drawings. The design is based on fashion sketches she produced whilst at London Fashion Week. 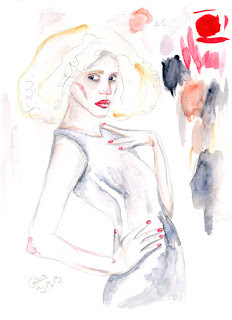 You can look forward to seeing more of Sophie´s work in the next issue of Stella. She did a very nice Stella Paper Doll.